It sounds good, even logical, but it isn't quite as liberating to your future trucking career as it sounds. I understand how the thought would appeal to someone, but if we dig a little deeper into how a successful trucking career gets its basic foundation underneath itself then we can see this whole idea of “Free Agency” is better left to the field of professional athletes, who when first jumping into the professional arena have already established their prowess and skill, and thus their potential for success. I don't have any problem with someone choosing to attend a private truck driving school. In fact, that is just the way I started my truck driving career. I do have a problem with thinking that gives one some sort of “Free Agent” status. There are many ways for a person to obtain their CDL license. You can even go out there and get it all on your own if you want to, but due to the requirements insurance companies have for covering inexperienced commercial drivers it is a very ineffective way to start a truck driving career. Almost any trucking company who is legitimately hiring inexperienced drivers will require you to have a training certificate indicating a minimum of 160 hours of training. Those prerequisite hours should be a combination of classroom, observation, and driving time. Most people who successfully pass a truck driving course of study and obtain their CDL have a woefully inadequate amount of time behind the wheel to be considered as professionals who have some sort of established skill set, much less anything valuable to offer. This is why your first truck driving job places you with a trainer for another several hundred hours of training before you are issued your own truck and allowed to run as a solo driver. And even then, you are considered a high risk driver. A true Free Agents has some clout – they have leverage. They have what it takes to demand a fairly high degree of attention and desire from the parties that are needing them. They aren't just there to fill a position that's available. They are there to help create success and add dominance in a very competitive environment. To be a free agent you have got to add value to the team, and you can never do that without verifiable experience and a well established track record of success in that environment. Brand new rookie truck drivers would be laughed out of the building if they came in thinking they are going to demand the kind of salary and treatment that a well established successful driver gets. They have nothing to bring to the table but a CDL! So let's get that idea out of our heads about being “Free Agents” just because we went to a private truck driving school, and then we can establish what it takes to become a “Free Agent” in the world of trucking. Okay, I can already hear some of you protesting that all you mean by being a free agent is that you get to choose which company you will get started with. So, let's address that component of the whole “Free Agency Myth.” I already mentioned to you that I started my career at a private truck driving school. I attended a school in East Texas, and I felt I had a great training experience. Graduated with a 97 average, and was the top student in my class – Wooo Hooo! What did that get me? It got me a CDL and a training certificate – the same things it got the very worst student that graduated in my class. Think about that. I worked really hard and applied myself, yet the slackers who passed got the same results that I did! Now, listen to this part of my experience. The student that had the lowest possible passing score in my class applied to Roehl Transportation, and got accepted right off the bat. I also applied to Roehl, and never even got a response back. So, after a while I called and spoke with a recruiter who bluntly told me they had better qualified candidates to hire from than me! Not to be discouraged I applied to a bunch of places. I remember FFE Transport gave me the same response. Then I thought I had hit pay dirt when TMC Transport invited me to orientation, only to get rejected and sent home. Then after having surgery and correcting the small hernia that got me sent home, they invited me back to a second orientation. Oh man was I excited! Rejected again! This time they just didn't think I had what it takes to be a flatbedder. Not to be put off or discouraged I got another invite to an orientation with PGT trucking. Rejected again! This time because I had been out of truck driving school for too long. Finally, Western Express took me on and I got my career started earning a whopping 27 Cents Per Mile. Does that sound like I was a “Free Agent” to you? I was a total rookie, in great need of experience, and seriously just needing a job where I could get started on learning this whole new lifestyle of being an over the road truck driver. Is Signing A Work Contract Really A Bad Thing? We still have one more elephant in the room that we need to address. That is the fact that so many people think they are submitting themselves to slavery or indentured servitude if they sign a contract with one of the company sponsored training programs. My personal opinion is that the companies offering these programs are some of the best ways to get started. They have each of them been at this for years now, and they know what works for both them and their trainees. They each seem to have their own ways of accomplishing the end goal, but all of them get good results. Prime Inc takes a hands on approach and spends several months time with new student drivers while some other companies manage to get it done in about a month. There are plenty of these type programs available to choose from, so you still get to make a choice like you're a “free agent” – no one is forcing you into anything. They all require some sort of commitment from the student, and rightly so. They commit a lot of time and resources to these training programs with the main intention of getting some good drivers on their team, and they want to know that you will commit to a certain time period so that you can not only learn the trade, but develop yourself as a professional during that time. Speaking of commitment, I honestly see no difference in committing to paying the price for a private school, or getting it done with little or no out of pocket expense from a company training program. One is a commitment of your treasure, the other is a commitment of your time. Either way you are making a commitment. A one year commitment to your first truck driving job is something we always recommend to new drivers anyway. It is a very minimum level of commitment when entering this field. Newly licensed CDL drivers are almost always taken by complete surprise at the challenges they face during that first year of driving. There is so much to learn when you start this career, and often times rookie drivers confuse this steep learning curve with the very false notion that they are not being treated properly by their employer. Let me explain that statement. It is just tough to learn all the little idiosyncrasies that make for success at this career. Rookie drivers end up sometimes sitting for a while in between loads, or perhaps they just don't get the best loads. Maybe that is because the planners just don't yet know how effective this driver is at consistently delivering on time, or maybe the driver hasn't learned the little secrets of communicating properly with dispatch so that he can get pre-planned consistently. 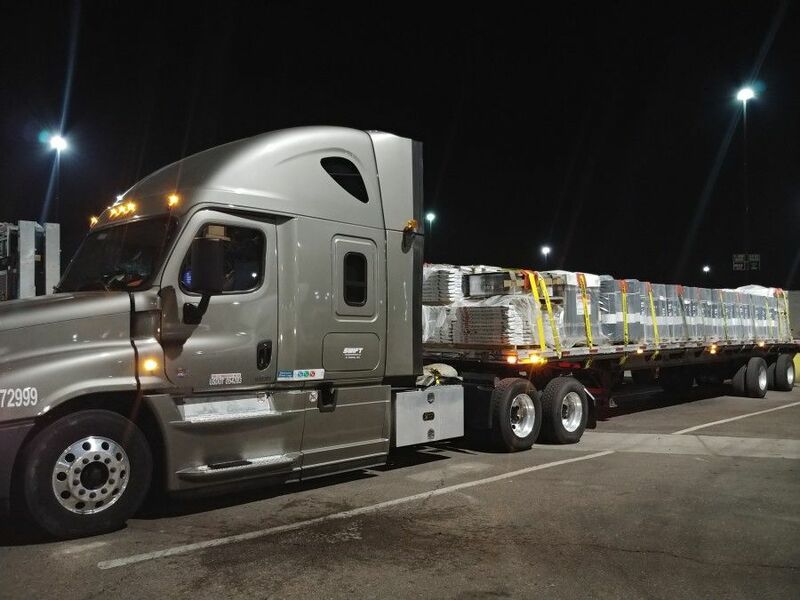 Much of what it takes to keep yourself moving and racking up the miles in this business is directly related to a driver's performance record and how effectively that driver communicates his daily progress on any given load with dispatch. So, what happens is a driver who is feeling like he is not being utilized efficiently enough to be making good money confuses that lack of miles with the fact that he started out with “the wrong company.” Then he starts seeking greener pastures and ends up repeating the same vicious cycle again, because now he has to start all over from the bottom again. That's “Free Agency Status” gone amok, and the end results are usually detrimental on your career. By sticking with that first job for one year a new driver will eventually develop the skills and practices that help them to be successful out here. Each of these trucking companies want and need drivers who can consistently move considerable volumes of freight. That is how they make money. Incidentally that is how drivers make money also. It is a common mistake of new drivers to confuse their inability to be productive with their first trucking job with the all too common fallacy that it is the company taking advantage of them. In reality it is just part of the steep learning curve which cannot be bypassed by switching to a different company. This constant switching from one company to the next actually extends the length of time it takes to become proficient at this stuff. I'm trying to make the argument that agreeing to a contract with a company sponsored training program is actually beneficial to the advancement of your trucking career. It is ridiculous to consider a commitment as entrapment or slavery. Remember commitments have distinct advantages to them. A commitment is not a one sided agreement. You have committed to a training company, and they have committed to you. We see this played out all the time in our forum where a driver in a company sponsored training program has one or two, maybe even three accidents in their truck. Most of the time the company stands behind their driver and allows them to stay employed. Perhaps they will give them some additional training, or require them to watch some safety videos pertinent to their offense, but they stick with them. We've also seen it many times where these guys who seem to think they were “free agents” get canned the first time they have an accident. As far as “Free Agency” goes, here's the way to be a free agent in the trucking industry. Get yourself about three solid years of dependable safe driving experience under your belt. Don't be a job hopper, and learn to conduct yourself as a true professional in this challenging environment. Once you've got those credentials, you have something seriously desirable to offer any trucking company out there. What's funny about this whole idea of “Free Agency” is that once a person has established themselves with that much experience at one particular trucking company they are usually quite content to just stay where they are. You see, once you get the hang of the ins and outs of this career and the company that you are working with, you get yourself established and you know how everything works at that company. You get to know who it is in the offices that you can call on if you need some help on something. You get to be well know by the folks who are planning the loads and handing out the assignments. There is nothing fair about this career. They don't just try to treat every driver equally and benevolently. Each driver develops his own reputation and earns his own respect and treatment. I've had drivers complain to my dispatcher that he treats me with undue favor and them with discrimination. He just laughs it off and tells them the day you start putting up the kind of numbers that guy does, then you can start getting some of the treatment that he gets. That's the reality of trucking. It is a competitive environment where the strong survive.